Mason Harbour Yacht Club is a luxury, waterfront residential neighborhood in Wilmington. It has just 25 homesites but the amenities are the quality of a large community. It has a protected marina, clubhouse, and swimming pool. The ICWW is right at the entrance of the marina. 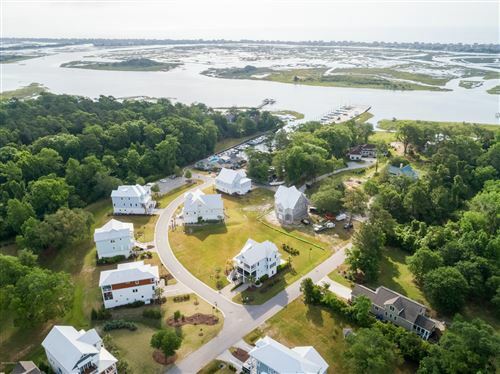 Each home has an assigned boat slip and Wrightsville Beach is a short boat ride away. All the homes in Mason Harbour Yacht Club are a Coastal Style with open floor plans and high-end finishes. Some of the features include beautiful wood flooring, fireplaces with custom surrounds, custom wainscoting, high ceilings, wet bars, surround systems, smart home thermostats, custom tile work, shiplap, and large kitchen islands. They also have additional flex rooms, huge master suites, and large outdoor living spaces. There’s so much to love! Click on the listings below to see pictures, features, amenities, school information, and more. Interested in viewing a home or have questions? Please don't hesitate to contact us. Melanie Cameron is a Coldwell Banker Global Luxury℠ Specialist and can help you with this luxury home community or any other in the Greater Wilmington real estate market.